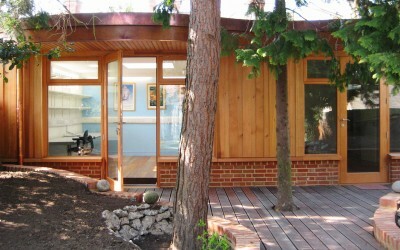 Hart Baskerville Architects specialise in crafting beautiful and uplifting spaces. We work with our clients to achieve their highest aspirations for better places to live and work. Hart Baskerville Architects undertake projects of a variety of scales and content, from bespoke furniture design to urban development. We do not align ourself to one particular architectural style, instead preferring to respond to the individual requirements and taste of our clients, creating designs that reflect the unique environment and context of every project. Being first time buyers with a big project on our hands, it was extremely reassuring to have James working with us on it. He was a calm yet confident and transparent presence, helping realise our own ideas, as well as inspiring us with some fabulous features that we never would have come up with on our own. He worked to within our budget and was available whenever we needed him to answer any questions that we had. Thank you James! We were extremely happy with the services provided by Hart Baskerville Architects. James listened to our brief and more importantly took time in getting to know our likes and dislikes before presenting us with various options that met all our requirements. We found James to be professional, knowledgeable, innovative and approachable. His manner enabling a productive working relationship, and resulting in house we are proud to call home. We would without hesitation recommend the services provided by Hart Baskerville Architects. It was love at first sight and the house is a delight to live in. 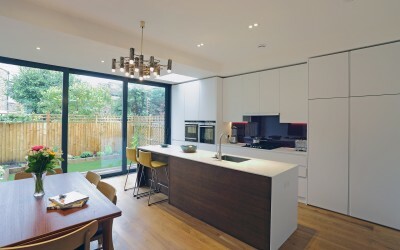 So well designed, fantastic use of space and so much light all year round.